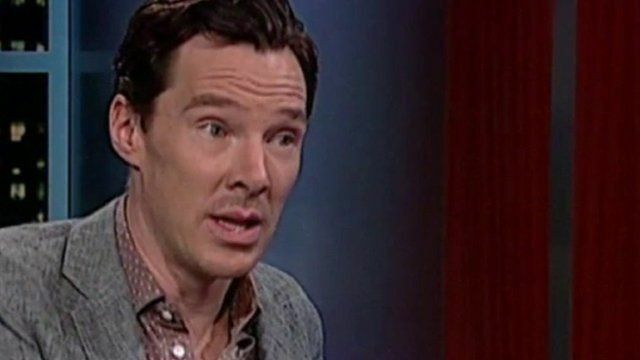 Cumberbatch sorry for 'idiotic' remark Jump to media player Benedict Cumberbatch has apologised for "being an idiot" after using the term "coloured" in a TV interview. Five British actors up for Oscars Jump to media player It could be a bumper year for the Brits at the Oscars after five actors were nominated for Academy Awards. Cumberbatch tackles Nazi code Jump to media player The Imitation Game - the tale of how British mathematician Alan Turing broke the German Enigma code in World War Two - opens in cinemas this week. Benedict Cumberbatch has apologised for "being an idiot" after using the term "coloured" during a US television interview. He was talking on The Tavis Smiley Show about encouraging greater diversity in British acting when he made the comment. The Sherlock actor has since admitted his regret about using "outmoded terminology" and apologised for causing offence.